ON Tuesday, a picture of a black mannequin hanging by a noose from a tree at the Wits Library Lawns, made rounds on social media. The image was retweeted more than 600 times with Twitter users expressing outrage at the image which they said resembled the lynchings of black men in America. The mannequin was hung late Monday night with clothes and placards but was discovered the following morning undressed. 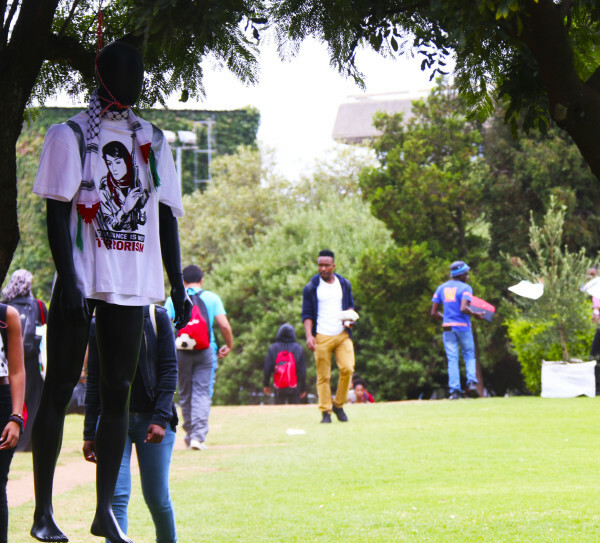 Arriving on the scene almost an hour after the picture went viral, Wits Vuvuzela was told by SRC general secretary, Fasiha Hassan that the exhibition was part of #IsraelApartheidWeek activities and represented Israel’s disregard for black lives. The message was clearly not well received, with some students not understanding its meaning. A little while after that the mannequin was taken down, allegedly by students who felt insulted by the exhibition. On Wednesday night, the Wits PSC released a statement apologising for the exhibition.